It is in the car in case of emergencies. My parents gave my wife a Sears Kenmore sewing machine with all kinds of razzle-dazzle stitches for our wedding. This thing was $150 back in 1978. Still works like a charm after 40 years. I think she took it down to a guy in Littleton about 8 years ago for a minor tuneup and that's been it. I have a sears Kenmore portable sewing machine that weighs a ton (Getting impossible to deal with my age and health issues). Received it in 1969 for high school graduation gift from parents. Still works great. I too have my old Kenmore sewing machine that I got in 1970. I used it so much, the gears wore and I had to use tape to keep them in the position I wanted. And it was so worn, it could not keep the needle in a straight line stitch. But I loved the sewing machine. I redid the seats on our two two motorcycles, a rain fly for our northface tent and a zillion other items. No wonder it wore out! You people and those modern sewiing machines,, my old one izza 1894 ,White- Peerless, that I bought when living in England in 1968. 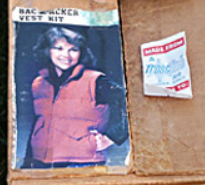 It's American made in Ohio, . It,s a hand cranker type ,, werks fine ,, just too much trouble to use without a second person to crank, while you sew..
Now it's just on display on my wall unit. It's in a hand made wooden portable carry case.. Still use mom's old rotary egg whipper for those Sunday scrambled eggs. Little bit of rust, but works like a charm and will always treasure it. Colt M1911 made in 1918. Sears Craftsman socket sets I bought in 1980...still have everyone in all 3 sizes, 1/4, 3/8 and 1/2 inch and use them all the time. Also have (and still use) the Craftsman reciprocating saw I bought at the same time. An anvil made in 1899. I have all sorts of old tools and guns that I use on a pretty regular basis. Too many to remember. My friend, trucker, made in 1947. He's showing some age but still works pretty good. My 1988 Chrysler is my "winter car" She's a cold weather car & fancy 1988 fuel and emissions stuff got replaced with a circa 1977 system. Hesitate to say she runs great- no wood around to knock on. I've also got some Sunbeam tools & appliances that still run. Can't get blades for the jigsaw, though. It uses the skinny ones like a scroll saw would take. 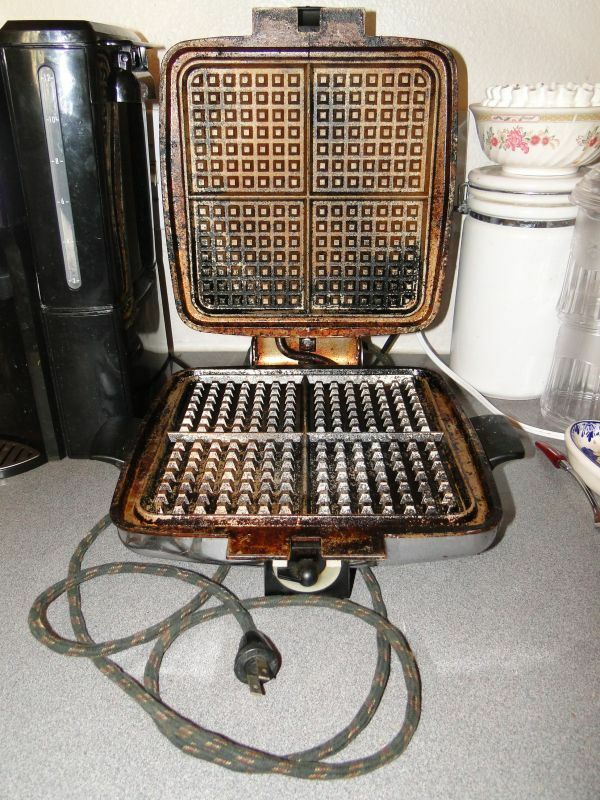 My oldie but goodie is an old waffle iron with a cloth cord. I have a newer iron, but never use it because it doesn't compare to the old one. We just recently removed the plates, and cooked them off in a hot oven..that's why the plates look nasty. That puppy heats evenly and doesn't stick. that style of waffle iron makes the BEST grilled cheese sandwiches for dunking in tomato soup!!!! Mine got to be too dangerous to use but I am still on the lookout for another one. My grandma’s cast iron skillet, over 100 years old but in constant use. Same with my enamelware roasters. And I have my Mom’s Singer sewing machine on which I learned to sew in the ‘60s. I got a Bernina about 20 years ago but the Singer still works great.